REAL WORLD EXPERIENCE CREATIVELY APPLIED USING CUTTING EDGE BUSINESS AND TECHNOLOGY SOLUTIONS. The Syntec Group offers a full range of services to address your building needs. Each individual service is provided by industry experts. The Syntec Group's business protocols and management tools result in seamless projects, well informed owner's and positive outcomes. Building construction is essentially a one-time manufacturing process executed under a unique set of conditions and circumstances, by a team of participants assembled only for the project’s duration. In this sense construction differs from all other forms of manufacturing and managing the process requires special knowledge and skills. To optimize a project in the key areas of “time, money & quality” the team and management must be integrated and coordinated. Our professionals use the latest project cost control techniques to help establish realistic project budgets. Cost management can commence as the earliest conceptual information is developed and continues through all design phases of a project. During construction it includes assistance in obtaining and negotiating fair and complete bid pricing for all line items; and implementing and maintaining effective cost control measures during the construction, change order and close-out phases of the project. Properly implemented our project scheduling field and software expertise reduce the time your project staff spends in scheduling meetings and report preparation, while our claims avoidance and quality control procedures helps reduce your project risks. We utilize standard industry scheduling methods and software to monitor and report on the progression of construction projects so that our clients are informed quickly and accurately of project events, potential problems, and corrective actions. Our field experienced, Oracle Certified Implementation specialist, works with your project team on-site to ensure project ramp-up success and data quality. Our specialist will assume an active role in importing projects, setting up users, creating custom fields, and performing other tasks as needed. This includes training and supporting your system administrator(s) as needed. Our specialist will also manage and train your team while working with them. What will be the impact of changing government regulation and reimbursement? What is the geographic marketplace of your organization? What is the market demographic mix of your organization? What technology capabilities and associated capital expenditures must be addressed? Inter and intra departmental workflow. Spatial requirements for departments and individual spaces. Traffic flow and spatial relationship between and within individual spaces. Once this information is defined and understood, TSG can then dive down into the details and develop a clear, effective programmatic statement defining the operational needs and spatial requirements for the new facility. The Syntec Group has enjoyed decades of creative, cutting edge design developing a clear understanding of how to achieve the proper value balance between aspirational project goals and pragmatic realities (budget, schedule...). Philosophically Architecture is "The creation of physical environments, which enhance our ability to recognize and maximize our individual and community's potential". Construction Management is an integral component of TSG services. It combines the technical and managerial capabilities of a general contractor with the coordination expertise of architects and engineers. In many traditional projects the design, bidding, and construction phases occur in sequence. A CM can make these happen concurrently, leading to process efficiencies that translate into significant time and cost savings. The CM is a member of the design and planning team providing the owner, architect, and engineer valuable input regarding a variety of issues ranging from prevailing construction costs, availability of labor, materials and equipment; scheduling constraints, alternative design options and economies are continually evaluated and monitored. Economic analysis of project and operational/investment proforma. Traditional general construction is an integral component of TSG services. A professionally managed general construction project assumes that all three participants; Owner, Contractor and Architect are well versed in the building process and create a check and balance to safeguard the interests of the project and Owner. In most traditional projects the design, bidding, and construction phases must occur sequentially. In large, complex projects this project delivery method is still preferred. There is a strong market perception that although this may not be the quickest project delivery method it is still the best way to achieve value, quality and cost control. Design/Build is an integral component of TSG services. In many ways it is the most historical accurate project delivery method, Master Builder. It ensures that there is a single entity who is responsible for the delivery of the building. The design builder is responsible for both the building design and construction and is typically contractually obligated to deliver a building that meets or exceeds a specific program statement and achieves a specific construction/project cost and time schedule. This project delivery method has been popular in simple building types (office warehouse, retail big box). As project teams becoming increasingly sophisticated in their collaboration capabilities, their ability to consistently deliver a high quality product in more complex building types continues to grow. Prepare a comparative Guaranteed Maximum Price (GMP) or 100% Bid Documents estimate. Reconcile internal estimates with contractor’s GMP or Lump Sum bid. Property Condition Assessment (PCA) services are performed in accordance with ASTM standards for property owners and real estate investors nationwide. Our objective is to assess and document the condition of the property and to prepare an accurate cost estimate of the efforts necessary to restore the property to a usable condition for its intended use. Whether it is operationally, financial or regulatory driven, in today's world no organization can afford the luxury of under utilizing it's physical infrastructure and fixed assets (ie. land, buildings, equipment). Facility (fixed asset) Management allows owners to optimize the efficiency of their physical resources and make informed decisions prior to making financial commitments. TSG provides tools for tracking current assets and analyzing the consequences of future actions (office space reorganization, expansion, new equipment acquisitions, moving ). Evaluate current infrastructure, fixed assets and develop best practice strategies for future planning and decision making. DYK - Did you Know? SyntecGroup is comprised of leading building industry solution providers expert in in each specialty required to address all your building and facility needs. Leading building industry solutions providers. Planning, design and project management. Creating high performance buildings at a lower cost. We help make buildings that work hard. Like we do. We analyze, design, develop & execute to ensure the success of your project. Developing Amazing Things with Passion since 1984. CEO / Founder – Steve Salzman, Steve holds a Bachelors of Science in Architectural Science from the University of Illinois. 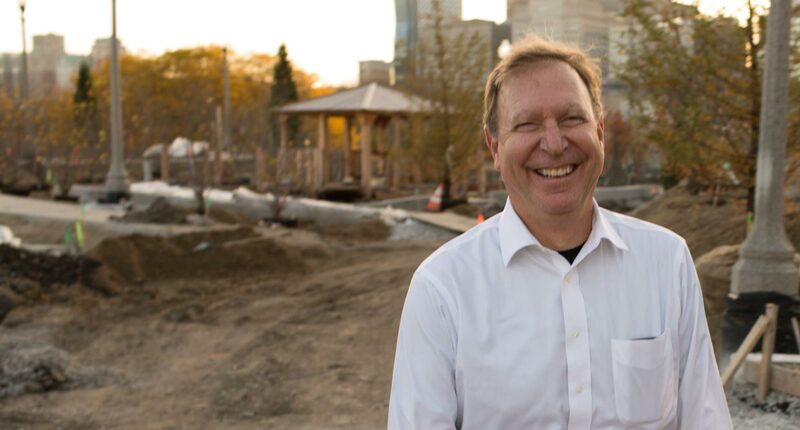 Shortly after graduation Steve started three separate companies to address the areas of architecture and design, construction management, and real estate development. Building and running these companies has afforded him the opportunity to develop an intimate understanding of all phases of the building process. In addition, he has been actively involved in the development of technology, new building materials and prototypes. As a recognized in leader in the rapidly changing building industry, Steve applies his industry-specific experience to provide executive leadership to The Syntec Group in the areas of client and project development and collaboration, market penetration, technology and strategic planning. “We have accomplished more in 6 months with Syntec’s involvement than in the 2 years prior. Due to their involvement, our project now has focus and will be built with quality materials…within budget! Thanks, Syntec! “Syntec consistently delivers!! Steve brings experience, trust, honesty, integrity, and a full commitment to the project. Attention to detail, quality, schedule and budget has led to a very successful project. Have any question? Drop us a message.